Get Back-to-School Ready with Tom’s of Maine®! This post is sponsored by Tom’s of Maine® and all opinions are my own. As summertime winds down, my family will be trading in our sandy toes and salty skin for a clean and polished back-to-school ready appearance! At this time in the year, it is so important for my family to establish morning hygiene routines to make sure the day gets off to a stress-free start. 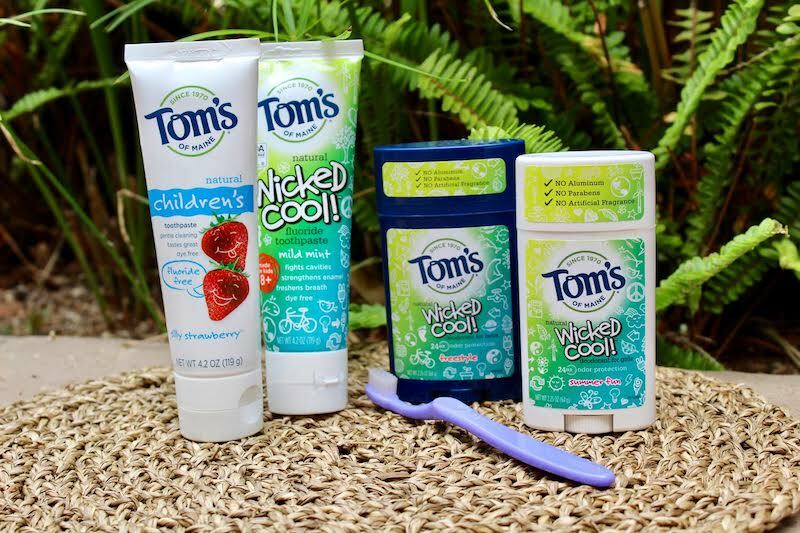 Tom’s of Maine® personal and oral care products have always been a staple in our household, so I was excited to incorporate some new items into our lineup! Our go-to shopping spot for Tom’s of Maine products is our local Sprouts store which has an extensive selection of items to help us get ready for back to school. Oral hygiene for our three-year-old daughter has been a challenge as she often refuses to brush her teeth simply because we require her to do so! I’ve incorporated a few new ideas to get the school year off to a successful start. I switched out our two-minute teeth brushing timer for two minutes of her favorite song on the tablet and it felt more fun for her right away. This alteration has actually made the morning routine quicker and more fun without having to deal with the tantrums that accompanied teeth brushing. Along with her new two-minute music ritual, she is now equipped with a shiny new Tom’s of Maine toothbrush and toothpaste and is ready to brush! Tom’s of Maine Silly Strawberry™ Fluoride Free Toothpaste is a new favorite with our little one. 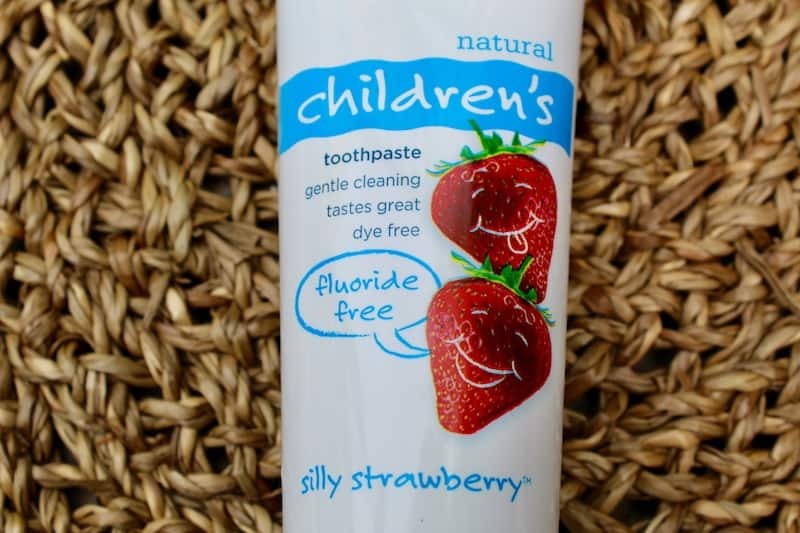 She absolutely loves the yummy strawberry flavor and what little kid doesn’t get a kick out of a picture of giggling strawberries on the front of their toothpaste tube? This toothpaste is a great option for parents looking to avoid using fluoride on their younger children’s teeth. The toothpaste uses calcium and silica to gently, yet effectively clean kids’ teeth. Tom’s of Maine children’s toothbrush pairs great with this toothpaste. It has a small child-sized handle that makes it easy for me to maneuver toward her back teeth while also allowing her to easily finish brushing her teeth independently. The toothbrush is BPA free and the handle is made with mineral-based pigments, 99% of which are derived from renewable castor oil plants. 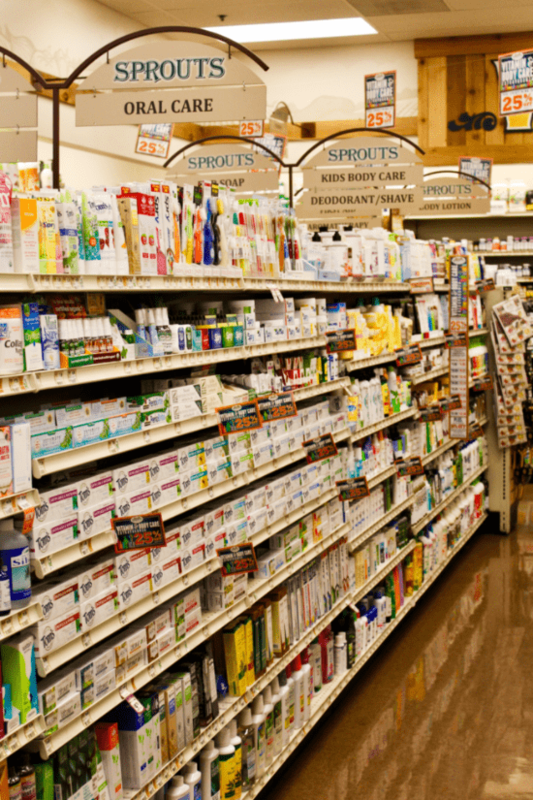 Tom’s of Maine also offers a selection of natural personal and oral care products geared toward older children and teens. Oral care products for older children include Wicked Cool toothpaste in mild mint. The toothpaste is dye free, helps strengthen enamel and contains fluoride to fight cavities. In addition to oral care products, Tom’s of Maine offers Wicked Cool™ teen deodorant with scents geared specifically towards boy and girls. This product offers 24-hour protection for active teens and is free from aluminum, parabens, and artificial fragrances. Incorporating the use of deodorant as a new addition to your child or teen’s hygiene routine can be challenging. I was impressed with the trendy and hip exterior design on the packaging which would definitely appeal to older children and teens. Why Choose Tom’s of Maine? 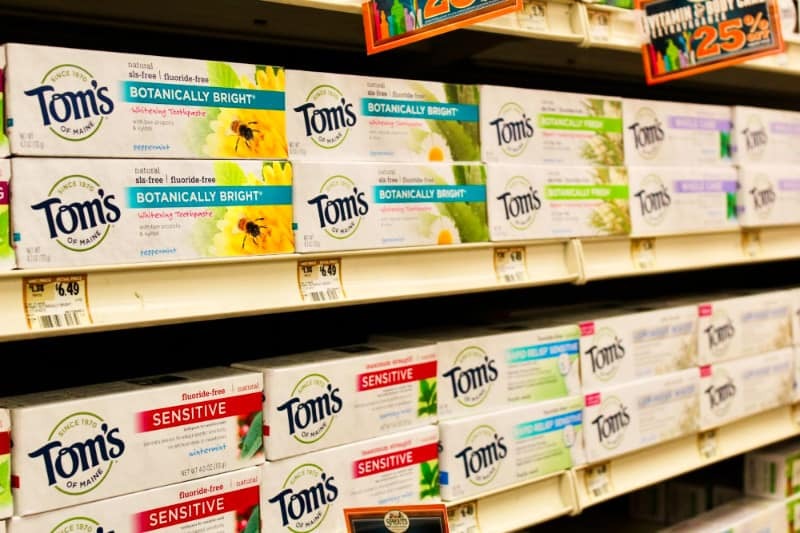 Tom’s of Maine has been creating natural products for over 48 years and 10% of the company’s profits are allocated to support human and environmental causes. The company provides products that are healthy for our bodies and the environment. All products are made without any artificial colors, flavors, fragrances or preservatives and Tom’s of Maine products are never tested on animals. As mentioned above, Tom’s of Maine is committed to protecting and preserving our environment. All of the company’s products can be upcycled through TerraCycle®. Visit www.tomsofmaine.com/terracycle for more information on how you can take part in this amazing program. In addition to helping our environment, Tom’s of Maine also has dedicated resources to help children and schools. 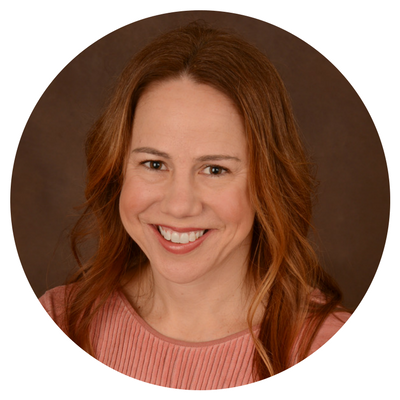 The company has partnered with Kids in Need Foundation to support disadvantaged children by making sure they head off to school with all of the supplies necessary for a successful start to the school year. By purchasing Tom’s of Maine, you are contributing to the success of these students in need. Visit www.kinf.org to learn more about this program. I love that they don’t test on animals besides using all natural products. This sounds like a wonderful company. I’m always looking for eco-friendly and cruelty free products, thanks for the information!